The Birmingham office of law firm Mills & Reeve has advised Birmingham City University on the relocation of the Birmingham Conservatoire to a new £40 million purpose-built facility in Eastside. Mills & Reeve’s real estate team, led by partner Tim Allsop, advised BCU on the negotiation and exchange of the agreement to relocate the Conservatoire from its current home at Paradise Circus to a site adjoining Millennium Point, adjacent to Jennens Road. The agreement follows the compulsory purchase order settlement and compensation agreement, which was exchanged with Birmingham City Council at the end of 2013. Christian Bull, an associate in Mills & Reeve’s real estate team, who was part of the advisory team along with Mark Cole and Richard Bogue, said: “As part of the council’s plans for the redevelopment of Paradise Circus, the CPO of the Conservatoire’s current home posed a significant threat to it. "The agreement will allow the development of a new state-of-the-art facility and secures the long-term future of the Conservatoire. The new Birmingham Conservatoire will be a contemporary building providing state-of-the-art facilities for students. It will incorporate two major performance spaces, including a concert hall for orchestral training and public performances, private rehearsal and practice rooms, and recording technology, in addition to providing teaching space for musicians from a variety of disciplines. BCU Vice-Chancellor Professor Cliff Allan said: “Birmingham City Council’s redevelopment of Paradise Circus meant that a new home was needed for our world-famous Birmingham Conservatoire. "Over the past few months the university has been in close negotiation with Birmingham City Council to reach an appropriate agreement. "Subject to confirmation of the Compulsory Purchase Order of Paradise Circus by the Secretary of State, construction is expected to commence in summer 2015. 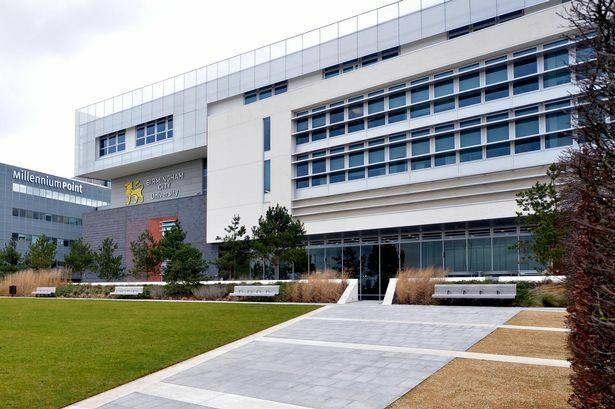 BCU is working closely with Millennium Point on the design and construction of the new building to ensure the facility complements the existing offer, in terms of both architecture and provision of services. Construction of the new Conservatoire is planned to start next year with completion scheduled for 2017.